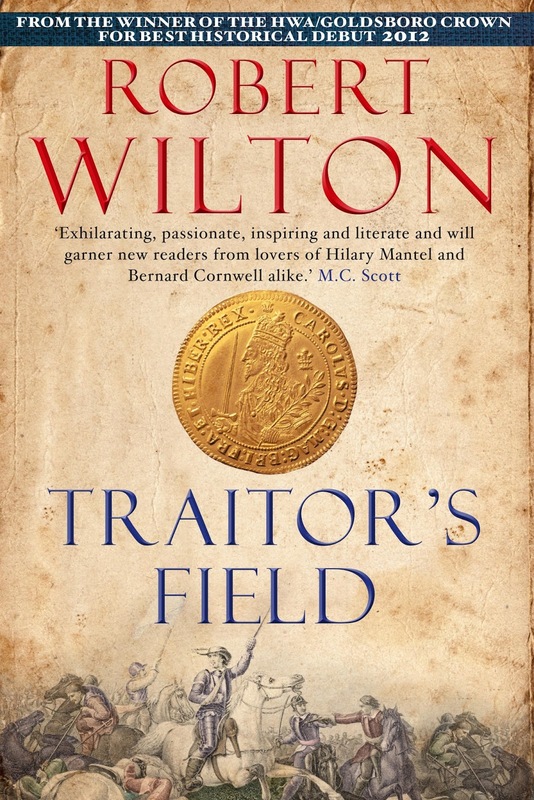 The first in Robert Wilton's Comptrollerate-General series won the Historical Writers' Association/Goldsboro Crown for best historical fiction debut. 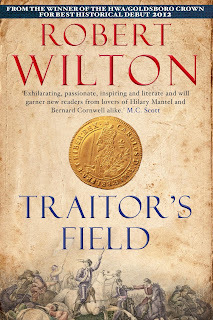 The latest, Traitor's Field, has already been described as surpassing it, setting 'a new benchmark for the literary historical thriller with a panache unmatched in modern writing', and 'exhilarating, passionate, inspiring and literate'. The assassination of Colonel Thomas Rainsborough is a mystery centuries old. The documents that form the basis of Traitor's Field strongly suggest the solution, but we still cannot be sure. We are not used to real murder mysteries in history. In history, death is commonplace and sordid, and the murders that we know about tend to be little village tragedies or grand public affairs of politics. It is rare to look at the accumulated historical record of a death and still have to say 'we don't know'. Colonel Thomas Rainsborough was one of the highest-profile and controversial figures to come out of the British Civil Wars. He sailed to the Americas, and won fame for his military exploits during the war. However, when he was sent back to the Navy as a Vice-Admiral, there was a mutiny. For he was best known as a leading figure among the Levellers, who were pushing for the kind of political liberties that we take for granted today but which seemed inconceivable to many at the time. He represented one of the great fears of the age, and its great aspiration. Thousands marched in his funeral, wearing rosemary sprigs to commemorate his memory and mark their Leveller loyalty. The details of his murder seem well established. One of the commanders of the siege of Pontefract, among the last of the Royalist strongholds holding out in 1648, he was quartered in nearby Doncaster. At daybreak on 30 October, a raiding party of Royalists cut their way into Doncaster and dragged Rainsborough and his adjutant from their beds; the two men were killed in the street. Sources like the old History of Pontefract, available online, give a clear narrative of the event: those involved, the scuffle in the gutter. However, the questions, and the mystery, have lingered. From the beginning, some wondered about complicity within the Parliamentarian ranks. The growing divisions in that cause made this plausible, and made the controversy worse. Britain was in chaos; the country was splitting on a series of issues, and the continuation of any kind of government was in doubt. Many different interests were served by the death of this man. Now the secret archive of the Comptrollerate-General for Scrutiny and Survey throws new light on the assassination, and offers a possible solution. Traitor's Field is the latest in a series of dramatizations of the documents in the archive, using its extraordinary records as the skeleton for a narrative of what was really going on in the shadows, behind the history that we think we know. at the end of the book explains a great deal more about the ebb and flow of fortune between Royalist and Parliamentarian at the climax of the war. More widely, the book describes the extraordinary battle of espionage that changed the fate of the nation. At heart, it's a contest between two men: an old, ruthless Royalist prepared to do anything to protect his cause, and a young official rising in Cromwell's service and beginning to understand the true scope of secret intelligence threatening his new world. Sir Mortimer Shay and John Thurloe were the men behind the scenes; the pullers of strings, the masters of codes, the whisperers in ears, the figures in the shadows. Their contest is what drives Traitor's Field. It's fought on the battlefield, in the noise and stench and horror of hand-to-hand combat; it's fought in secret rendezvous between men who cannot be sure of each other's loyalty or even identity; it's fought in a series of remarkable documents - propaganda, forgery, code, and lie. It is the story of the contest for the future of Britain, the soul, and it is full of violence, intrigue, passion and peculiarity. 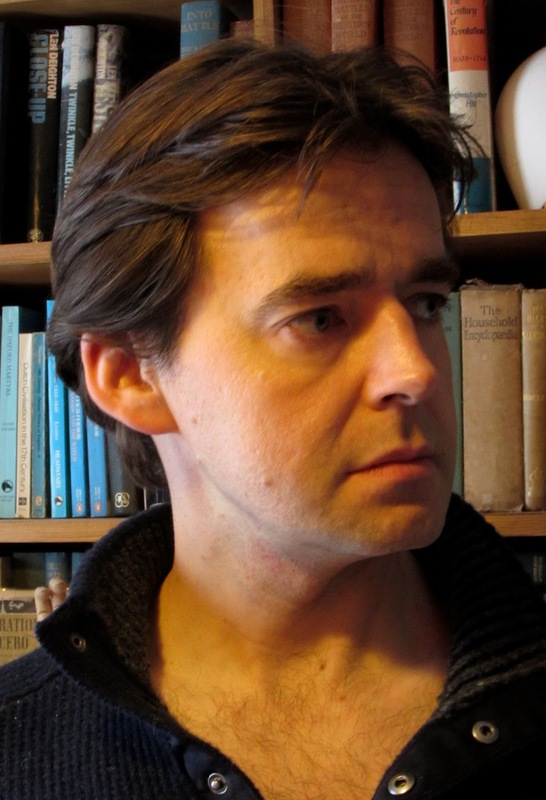 During the process of finalizing the first book in the Comptrollerate-General series (The Emperor's Gold, newly out in paperback as Treason's Tide), Angus the extremely patient Editor e-mailed saying that while he thought the final scene - a confrontation on a beach, the timbers of a wreck clutching out of the sand, layers of deception being exposed and an epic of revenge reaching its climax - had great atmosphere and power, he thought it needed further cutting because it 'resembled an Agatha Christie-style denouement'. I had to reply that I like Agatha Christie-style denouements. I think there is something fundamentally human about wanting to find out the truth. I think we like to be puzzled and then have the puzzle explained. In a world of uncertainty filled with unpredictable people, sometimes it helps to believe in the power of human logic to overcome chaos - to believe that if you review the motives and consider the cigarette butts and the blood-stains and the depth the parsley melted into the butter you can put two and two together and prove that the butler did it. There is more at www.robertwilton.com, and you can participate in the seedy shadows where history and espionage meet on Twitter @ComptrollerGen.